Customers in the water industry are constantly looking for ways to overcome a range of established and emerging challenges, which include, for example, water stress, decreased budgets, and aging infrastructure. Oftentimes, the burden of solving these challenges falls to market competitors — or, at least, those that deliver effective solutions stand to gain the most. One key method for market competitors to tackle a broad array of customer challenges, but in a way that addresses the specific realities of individual customers, is to broaden their portfolios. This allows companies to prescribe specific, custom-designed solutions for water utilities without limiting their customer base to niche areas. The recent $1.7 billion acquisition of Sensus by Xylem Inc. is illustrative of this industry shift. The acquisition enables Xylem to absorb, integrate, and build out on metering and data products and services. Metering products allow Xylem to move further in being a more holistic infrastructure partner for utilities, while data services can tie Xylem products together and deliver actionable insights for customers to ensure optimal and efficient operations. Certainly, success is dependent upon how Xylem delivers on these opportunities, but it sets up the organization to better address customer challenges. Below are three key opportunities for Xylem in the near- to medium-term. First, the integration of Sensus’ data products, platforms, and communications infrastructure offers Xylem the ability to connect their portfolio together and to customers. 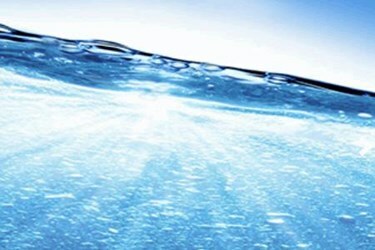 While there is still a need for education and large-scale deployment of data communicating devices in water networks and plants, there is an industry-wide acceptance that analytics and intelligent decision-making are central to future operations in the water industry. Xylem now has access to a next-generation technology portfolio that can help propel conventional and traditional water and wastewater treatment technologies into the Information Age. Second, there are organizations that have a specific advantage due to broader portfolios as they can become, to a degree, design consultants to customers. The push towards becoming a more holistic solutions provider enables organizations to weigh the pros and cons of a range of designs and recommend what is the most valuable to customers. No longer are they tied to the profitability of a single product. The acquisition of metering products builds on Xylem expertise in pumps, valves, instrumentation, and controllers to give customers complete control over water and wastewater. This essentially transforms Xylem into a complete design partner for their customers. Finally, the integration of Sensus’ data communications capabilities further moves Xylem from a transactional partner to an ongoing relationship partner. Managing data and analytics, and ensuring optimization of products and facilities provides a foot in the door for Xylem to build continuous relationships with clients, which of course, delivers a steady revenue stream and touch points to better understand customers and make further sales. Ongoing communications with customers offer a range of benefits for a company like Xylem, whether it is research and development, sales and business development strategies, or better understanding of customer needs and feedback. These three examples offer insight into how Xylem can change the dynamics of their company and the water industry. Xylem can further evolve into a data- and actionable insights-connected company and, in doing so, help customers do the same. Importantly, Xylem can grow in its ability to be a consultant and partner to customers to enhance its market position and drive future growth.